Marefield Pond is one of the few surviving examples of the farm ponds, of which there were once quite a few in Earley. Earley Town Council acquired it under licence from Wokingham Borough Council with the intention to save and preserve the facility some years ago. It is situarted at the end of the little lane to the left of the end of Beech Lane as you approach the junction with Rushey Way, and was previously known as Rushey Way Pond. It is managed by the Park Ranger Service, with help from local conservation and volunteer groups. 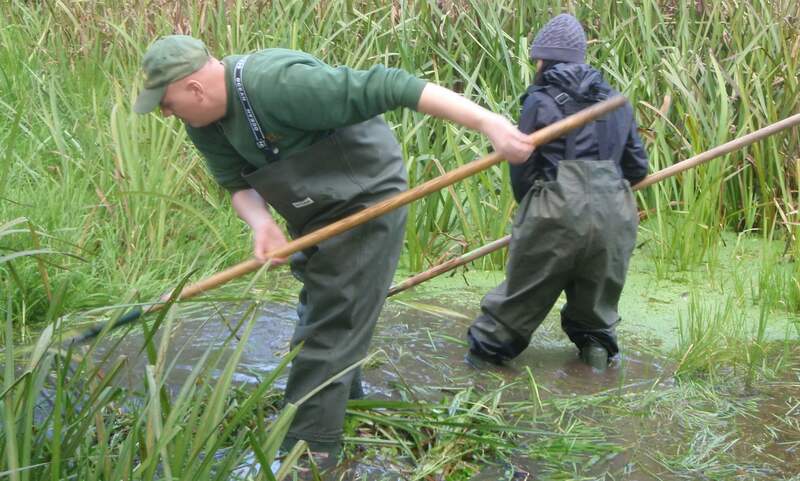 It has an interesting wildlife habitat, supporting creatures such as newts, frogs and dragonflies. At the end of 2010 the Town Council obtained a lease from the borough to maintain the grass verge along the edge of Rushey Way adjoining the pond to enhance the wildlife facilities. 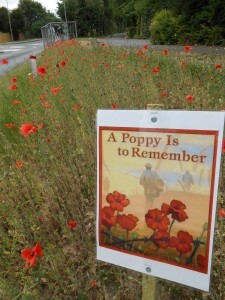 As part of the Commemorative dates in 2014 poppies were added to the verges at the same time.